This is a quintessential after dinner drink. 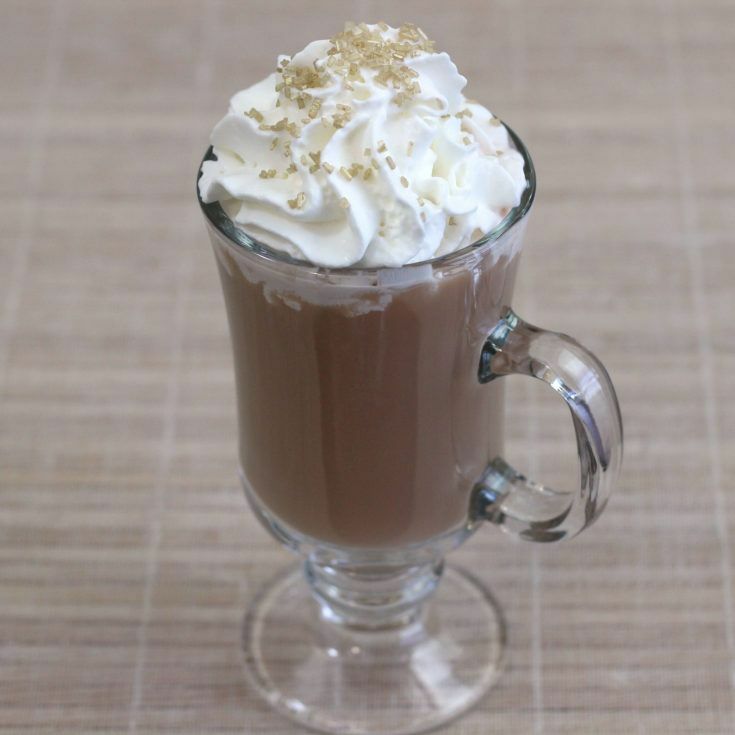 With the Irish cream addition, it’s lightly sweet – not a dessert drink, really, but it hits that note. It’s less sweet than the Butterscotch Coffee Cocktail and the Coffee Nudge, for example. Without the Irish cream, and with decaf coffee, it makes a lovely nightcap. For good decaf coffee, I’m a big fan of Melitta Decaf or Dunkin’ Donuts Decaf. And for the Irish whiskey, I recommend Bushmills, Jameson or Teeling small batch Irish whiskey, which I reviewed a little while back. The Teeling has a nice sweetness to it, which makes it especially good in this drink if you’re having the variation without Irish cream. This is, of course, an ideal drink for a chilly evening. I actually like to savor this one all by itself, but it’s also good alongside a dessert or sweet snack, like this Caramel Cream Pie from Shugary Sweets. If you’re enjoying it with a very sweet treat, I would definitely consider leaving out the Irish cream. The whipped cream is definitely also optional. It looks pretty, especially when you dress it up with some sugar sprinkles. But it also adds a lot of sweetness and some creaminess, which may or may not be how you like the drink. It’s great both ways, so it’s really down to personal taste. You may find you prefer it without the Baileys but with the whipped cream, or the other way around. You can’t really go wrong with this fantastic drink. Irish Coffee is one of the simplest and oldest recipes for a coffee drink. It blends coffee with Irish whiskey and either sugar or Irish cream. It's a wonderfully bittersweet hot cocktail that's perfect for after dinner or as a nightcap (but you might want to make it with decaf coffee). Pour the whiskey into an Irish coffee mug. Put a spoon in the mug and pour in the hot coffee - the spoon somehow magically keeps the glass from breaking due to the hot liquid (don't ask me how, just enjoy the laws of physics). If you're adding sugar, do it now and stir until it dissolves. Add the whipped cream on top. Garnish with coffee beans, coffee grinds or brown sugar sprinkles. This brings back memories. I used to drink these at home after dinner all the time. Just coffee, whiskey, and the irish cream, no whipped cream.